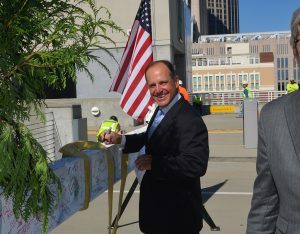 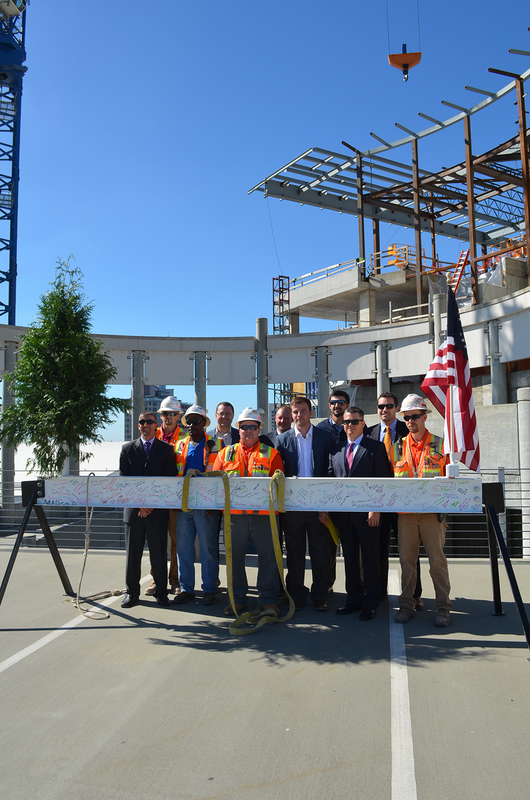 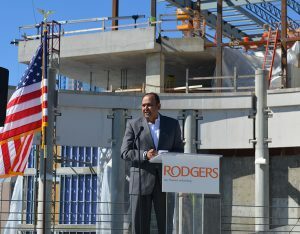 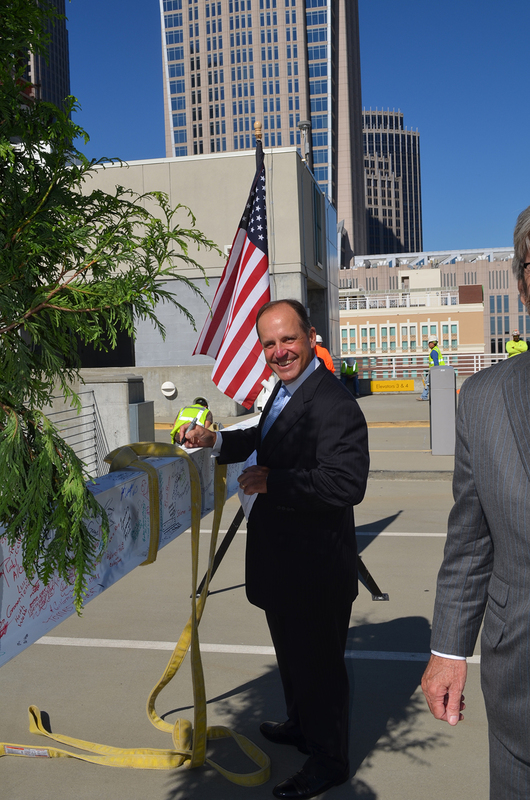 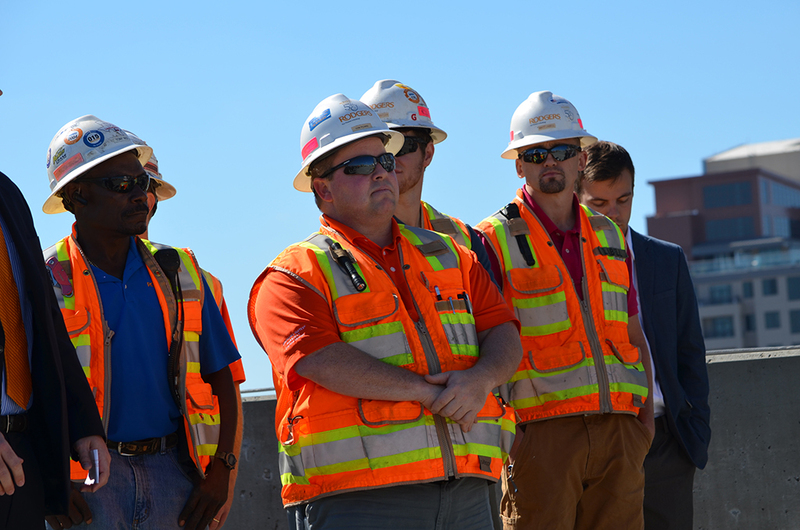 SpringHill Suites by Marriott-Charlotte Uptown celebrates topping out - Rodgers Builders, Inc.
Rodgers celebrated topping out at the SpringHill Suites-Charlotte Uptown, a Marriott Hotel to be operated by SREE Hotels, under construction in uptown Charlotte. 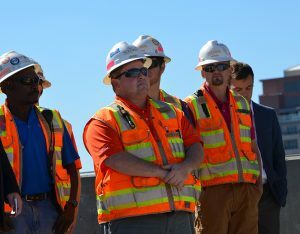 Craftworkers joined with representatives from SREE Hotels, Charlotte Regional Visitors Authority, Charlotte Chamber, Charlotte Center City Partners, CR architecture + design, and guests to watch as the final piece of steel structure was raised, bearing an American flag and evergreen tree to mark completion of the steel infrastructure and to honor the craftworkers’ hard work and dedication to safety. 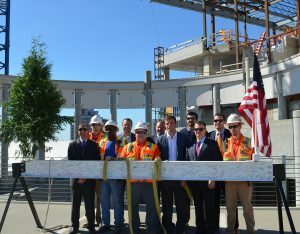 Guests were invited to sign the beam before a crane hoisted it to its final position. 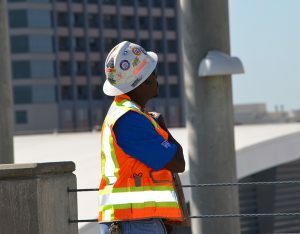 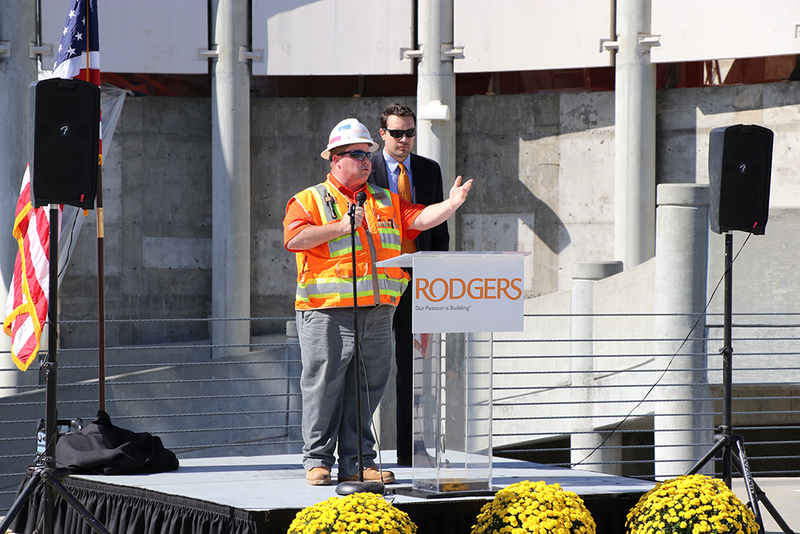 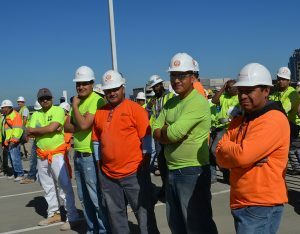 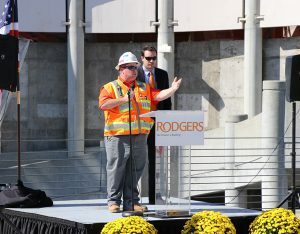 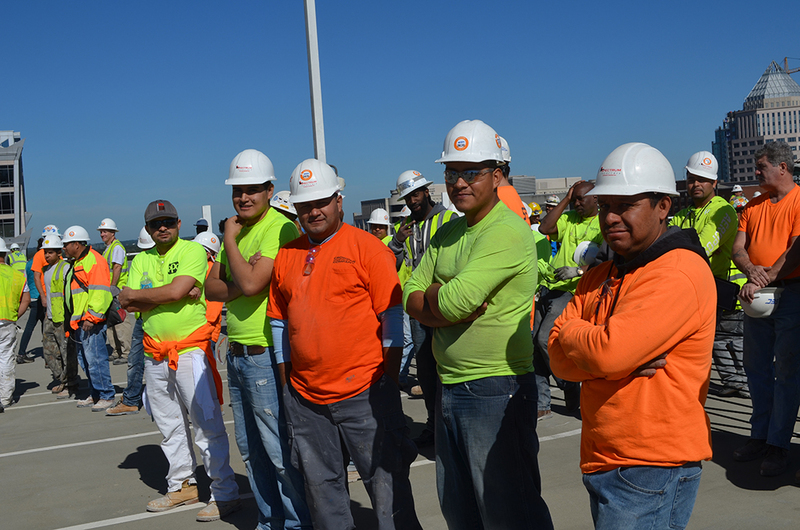 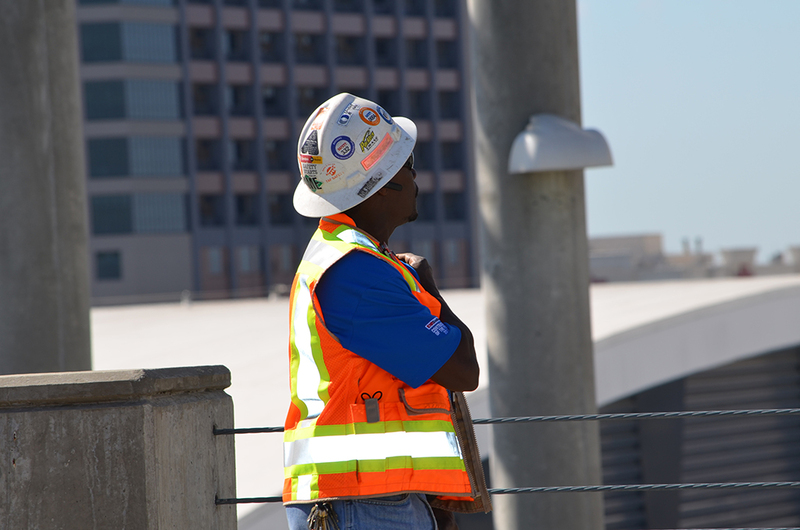 “To date, craftworkers have safely placed 500 tons of rebar, 8,500 cubic yards of concrete, and 96.5 tons of steel in the building’s structure,” said Pat Rodgers, president and CEO of construction manager Rodgers Builders, Inc. 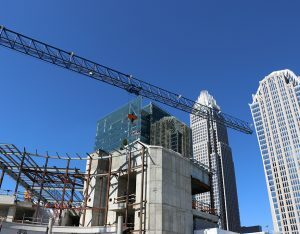 The hotel, located at 311 East Fifth Street in the heart of uptown will add much-needed accommodations for the growing number of visitors to the Charlotte area. 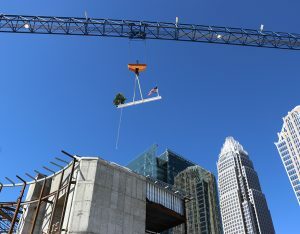 This modern take on the Flatiron building is located in a pivotal position on the light rail line, adjacent from the Spectrum Center (home to the Charlotte Hornets) and proximate to the Epicenter, the Charlotte Convention Center, and under eight miles from Charlotte Douglas International Airport. 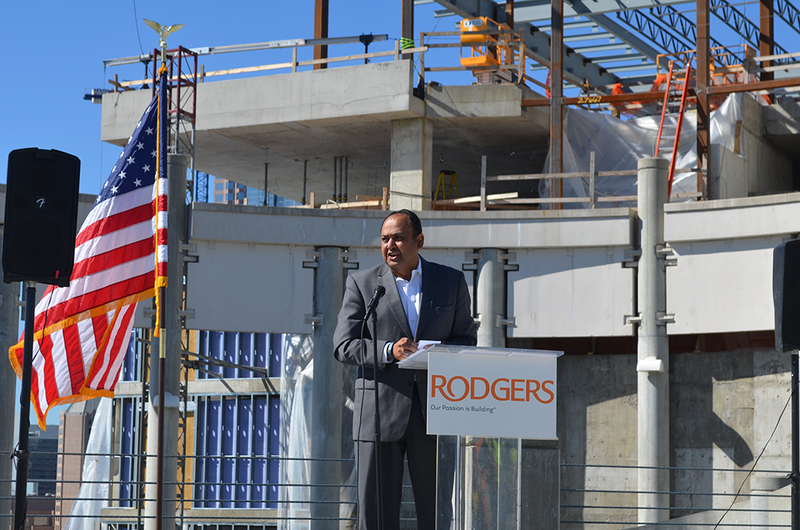 On street level, the hotel boasts a lobby and a bar, a retail tenant space, and a fitness center. 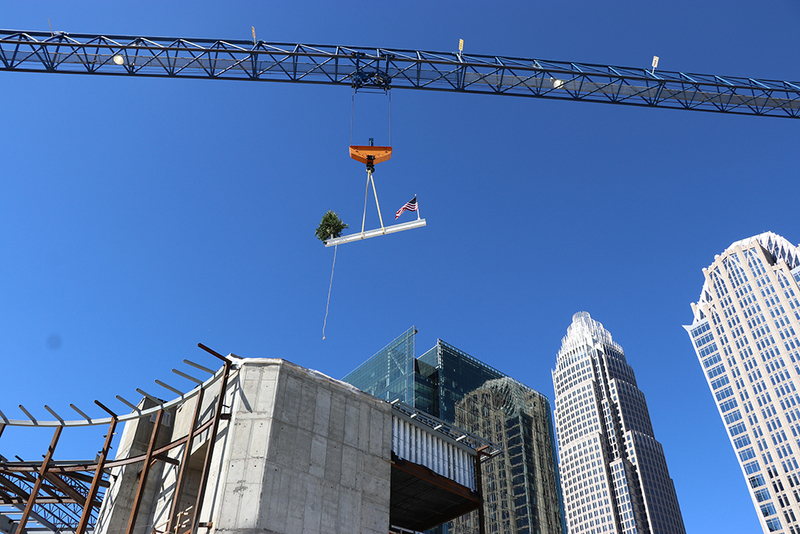 Other features of the new SpringHill Suites-Charlotte Uptown are the 3,000 sq. 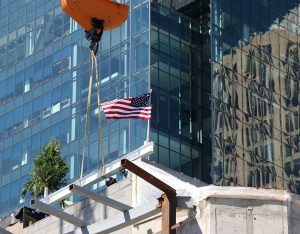 ft. ballroom on the 16th floor and the 1,500 sq. 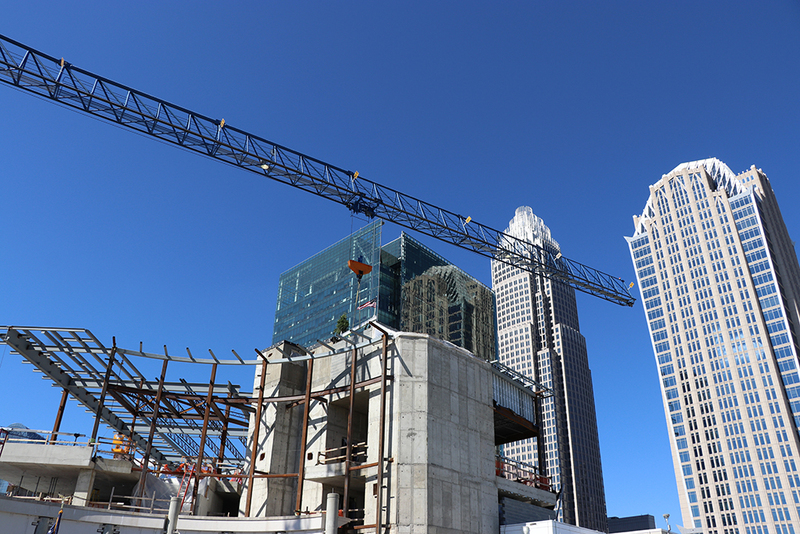 ft. rooftop terrace with sweeping views of uptown Charlotte. 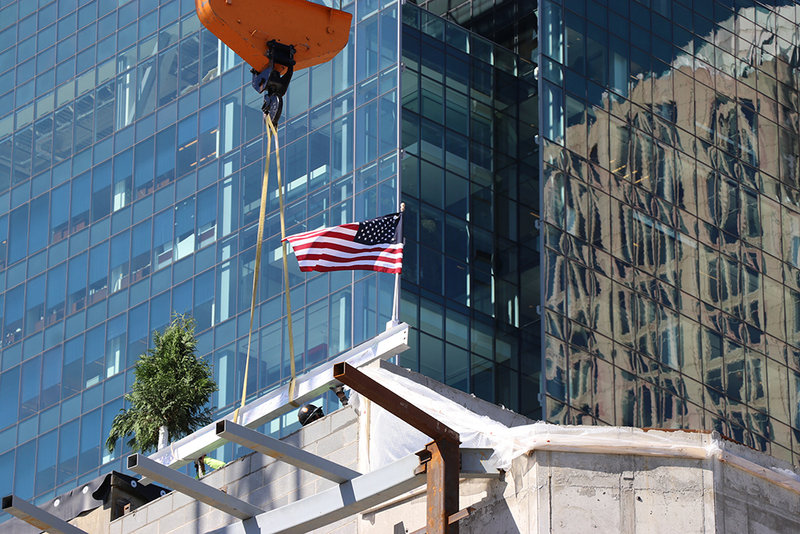 Construction on the 16-story, 180-foot-tall hotel began on September 22, 2015, and is slated for completion in February 2017.